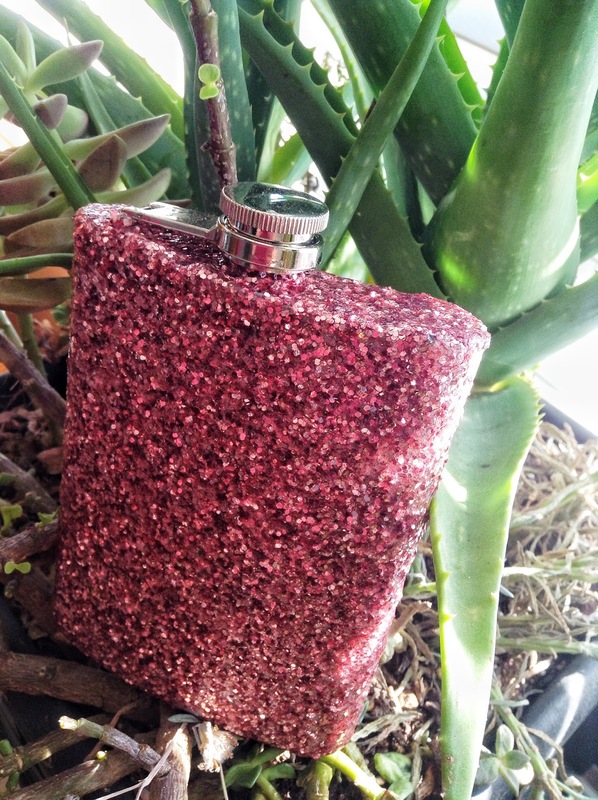 YOU CAN PUT GLITTER ON ANYTHING! 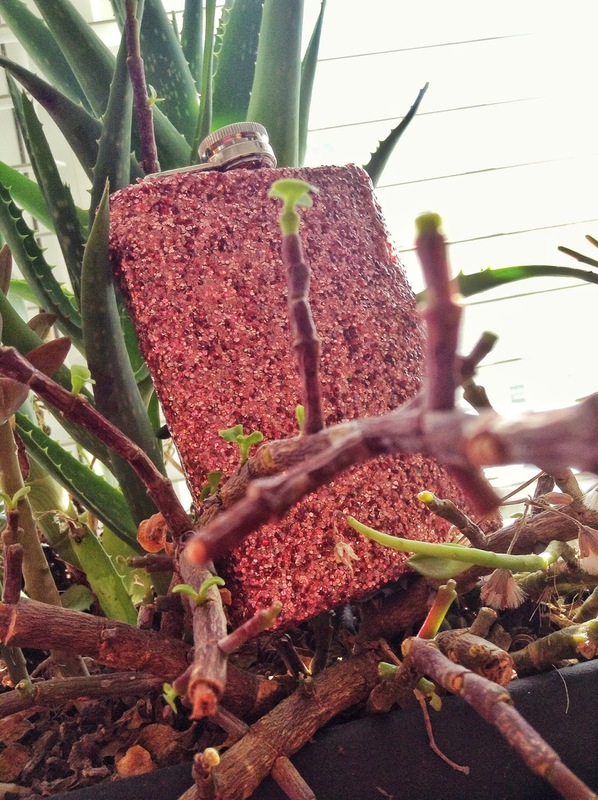 All you need is some Elmer’s Glue, some Mod Podge, a brush, and of course Glitter! 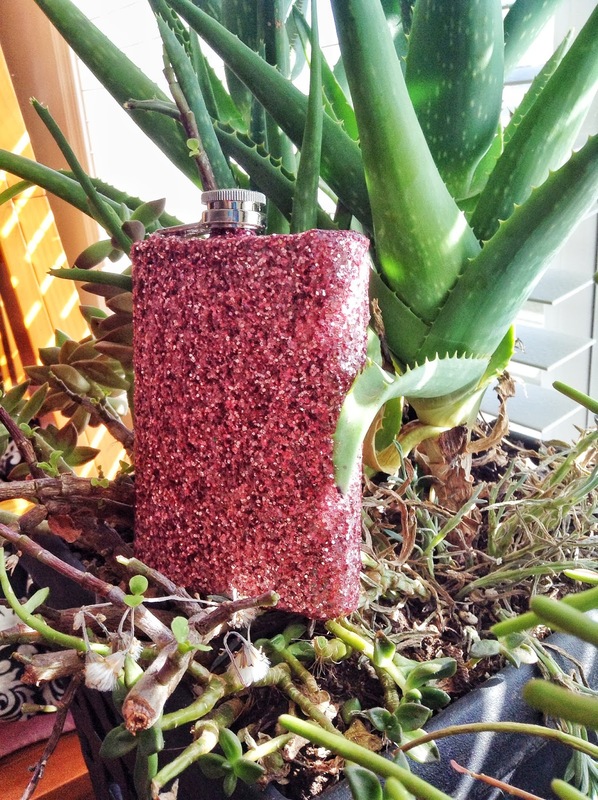 I took a simple boring flask and turned it into a Fashion Statement. First smear Elmer’s Glue on your object and then sprinkle it with glitter. If you are doing multiple sides, do one side at a time after letting each side dry. 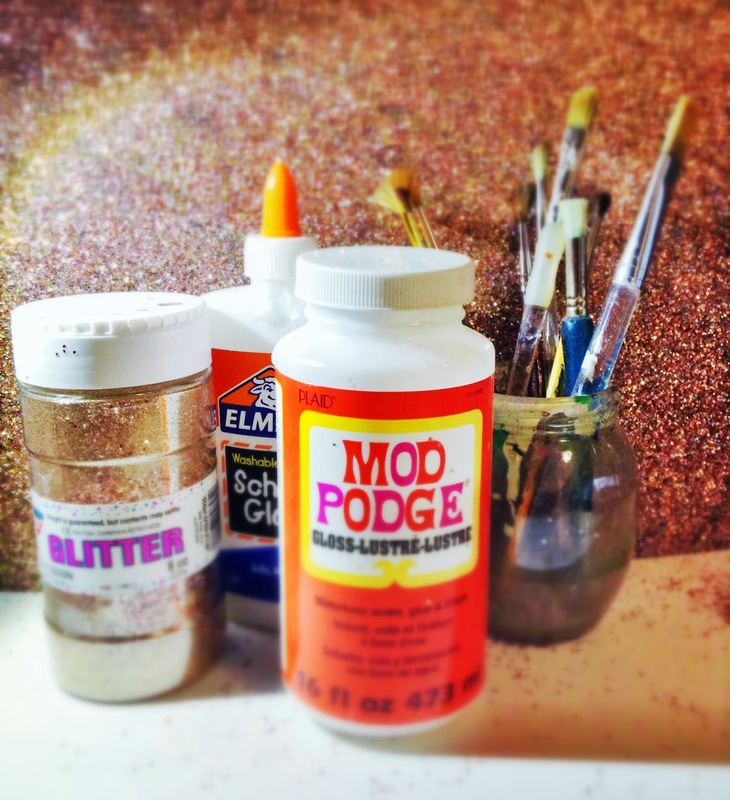 After you have used glue and glitter you will use the Mod Podge to create a clear coding all over your glittered surface. The Mod Podge will create a seal over the glitter, so that it won’t flake off.